Something magical happens when a beautiful book and highly anticipated story come together in one novel. 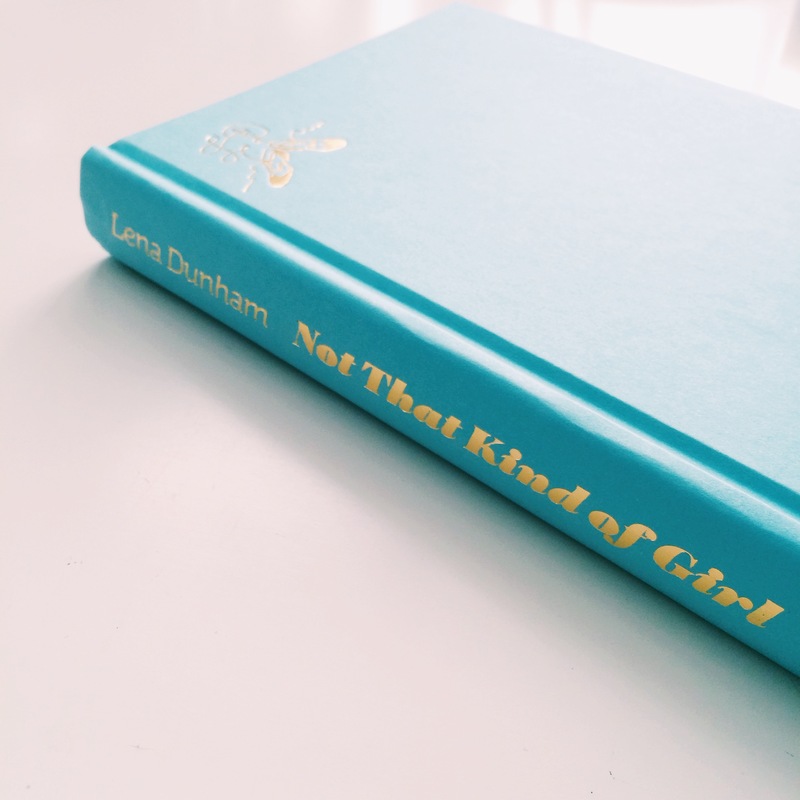 That’s exactly the case when it comes to Not That Kind of Girl by Lena Dunham. I’ve never seen an episode of Girls, but there is a TON of hype surrounding the book, and frankly, I don’t want to be left out! Every once in a while, I like to stop and acknowledge books that are just plain beautiful. And that’s what this post is. 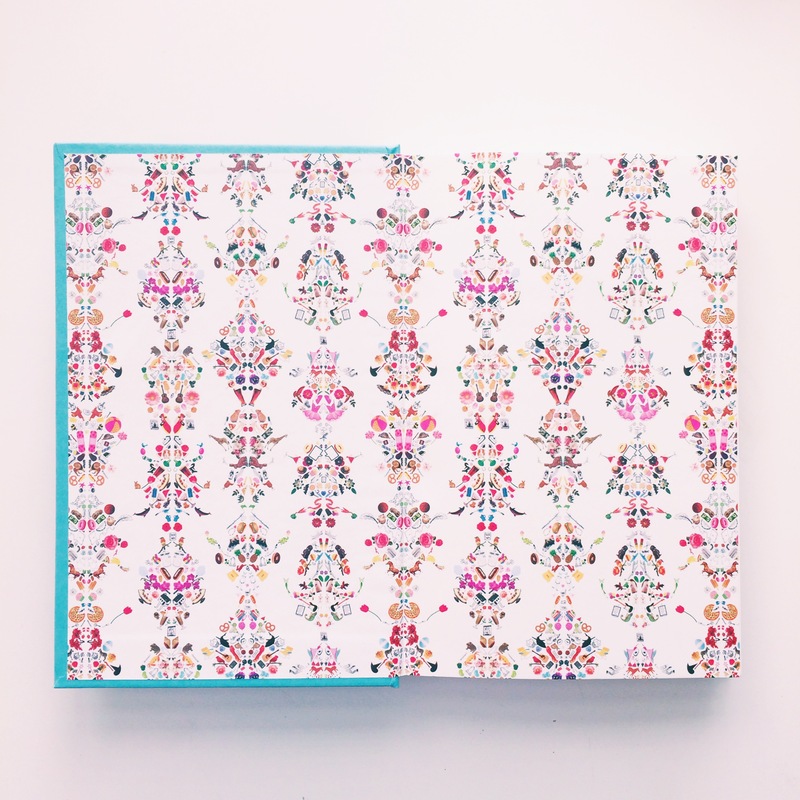 A little lovin on this pretty pink and black book! The cover of Dunham’s book is reminiscent of the self-help books from the 1960’s and 70’s, and I love it! Hot pink, black and white is such a classic color combo, and as I’m very sure you’ve realized by visiting Novels and Nail Polish even once, I’m a totally girly girl. Seeing the cover made think pink… And lip stick! True happiness! And just like the best things in life, the book itself isn’t everything it seems. Strip away the retro dust jacket and you have a classy, powder blue and gold cover that fills my soul with so much joy! In the corner, Lena’s initials and a pair of shoes create and adorable graphic. Simplicity makes my heart sing! Don’t even get me started on the lining! From afar, it almost looks like a colorful Rorschach test, but closer examination shows you they’re a bunch of quirky items, like banana splits, pizza and houses with legs! I would say that I have a pretty good feel of the book’s personality after just looking at the adorable details. 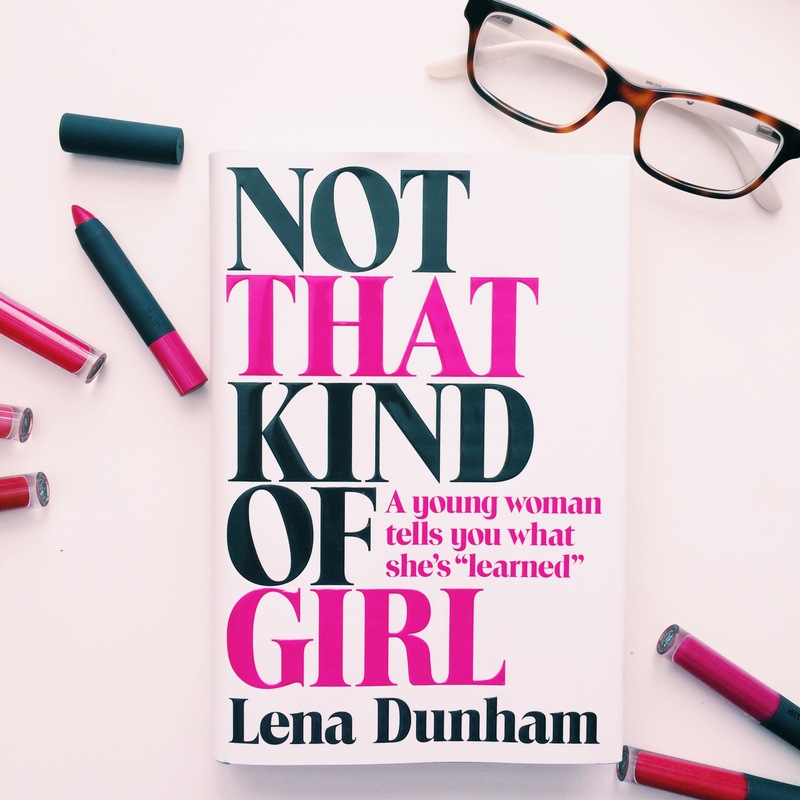 Are you planning on reading Not That Kind Of Girl? I’d love to hear what you think! Happy Reading!